The species is considered to be impacted by a large number of threats. A decrease in the amount of large carrion (particularly during nesting), poisoning (targeted or inadvertent), electrocution or collision with cables on electricity pylons, loss of foraging habitat and unsustainable harvesting for traditional uses are thought to be the most important factors. The Cape vulture occurs in Angola, Botswana, Lesotho, Mozambique, South Africa and Zimbabwe. It also used to be found in Namibia and Swaziland. The species usually breeds and roosts on cliff faces in or near mountains, from where it can fly long distances in search of the large animal carcasses on which it specialises. GENERAL: This majestic bird is a member of the Old World vulture family (Accipitridae), and is found only in southern Africa. It has a creamy-buff body plumage, which contrasts with its dark flight and tail feathers and its black bill. Adults can be distinguished by their honey-coloured eyes and naked, bluish throat, while juveniles have brown eyes and a pink neck. When these huge scavengers are flying, the pale, almost silvery, under-side wing feathers can be seen. MALE: The male is larger in size. FEMALE: The female is smaller. YOUNG: The young are born without feathers, which only start to appear as they grow older. REPRODUCTION: Breeding season for Cape vultures is between April and July. The Cape vulture breeds in large colonies on cliff faces. The nest is a platform made with sticks and lined with dry grass carried in the bill. Both sexes build the nest. The female lays a single egg. Incubation lasts about 55 days, shared by both adults. At hatching, the chick is covered in white down. The parents take turns to incubate and care for the chick, which is fed by regurgitation mouth-to-mouth. The chick fledges at about 140 days after hatching. Unfortunately, numerous chicks do not survive the first year of their life. HABITAT: Open grassland, savanna and shrub land, and are often found roosting on crags in mountainous regions. TRACKS AND NEST: The species usually breeds and roosts on cliff faces in or near mountains, from where it can fly long distances in search of the large animal carcasses. A group of 50 vultures can reduce the carcass of a sheep or impala to skin and bones in 20 minutes. Vultures feed on carrion (dead carcasses) and do not kill their own prey. Their feet are weak and better suited to walking on the ground than to picking up prey. Vultures are actually very hygienic birds and large groups often gather around favourite water holes to bathe, preen and drink. 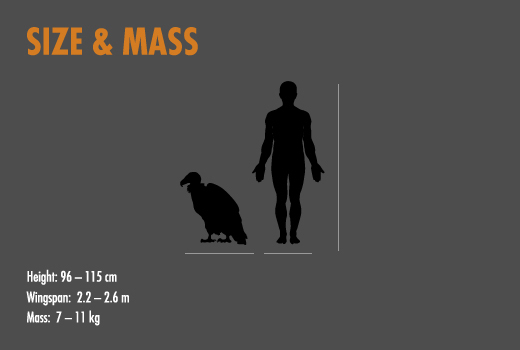 Heavy Weights – Vultures soar beautifully on thermals, but actually don’t fly well at all, they are just too heavy. Nature, being as wonderful as it is, enables them to use thermals to soar over distances of up to 150 km. Eye Spy – Vultures rely on their sight for all sorts of details from finding food sources, to recognising the fact that other vultures may have found a thermal. Waste Disposal – Vultures are the only true scavengers in Africa; they NEVER hunt their own food. Only Yolking – They only lay one egg every year. Lunch Break – A vulture can eat up to one kilogram of meat in a sitting (that is 10% of their bodyweight). Necessity is the mother of Invention – Egyptian vultures eat ostrich eggs and actually use rocks or sticks to break open the thick shells. Fast Food or Sit Down – Vulture restaurants have been set up to create safe feeding sites to help save the species. Watching them descend to feed is a fantastic opportunity to take photos and to simply sit and enjoy these amazing and funny birds. Muti and Magic – The vulture is a powerful symbol of wisdom and vision, no doubt linked to their extraordinary sight. Sangomas (traditional healers) have long revered them, and owning a vulture head is said to bestow their strengths on the wearer. Fortunately for vultures, people are now generally better educated and realise the damage caused to wild vulture populations by killing them for muti (medicine). Splish Splash, I’m taking a bath – Vultures LOVE water and wash themselves clean after each feeding. THE ROLE HESC PLAYS IN THE CONSERVATION OF THIS SPECIES: The Hoedspruit Endangered Species Centre has a vulture restaurant where left-over bones and meat from other animals are left for the vultures to feed on. Jump up to: BirdLife International (2015). “Gyps coprotheres”. IUCN Red List of Threatened Species (IUCN) 2015: e.T22695225A84339218. Retrieved 12 January 2016. 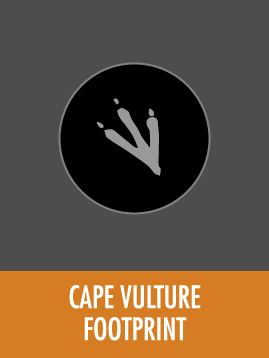 Jump up^“Cape vulture facts”. 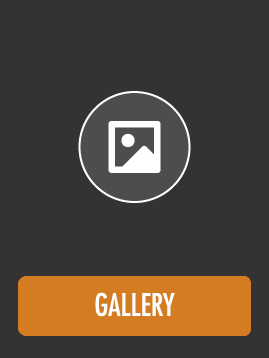 Arkive.org.